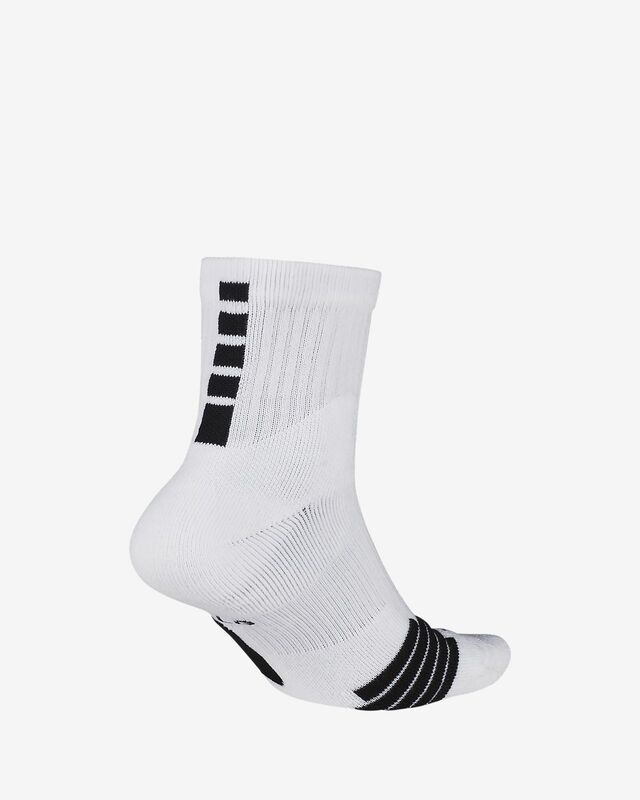 The Nike Elite Mid Basketball Socks offer a supportive fit and feel thanks to an arch band, while zonal cushioning helps absorb impact as you run the court. Extra cushioning at key pressure points delivers comfort where you need it most, while mesh on the top of the foot enhances ventilation. Fit well and are very comfortable. Took the size XL even though I normally get size 10.5 or 11US but they fit perfectly. 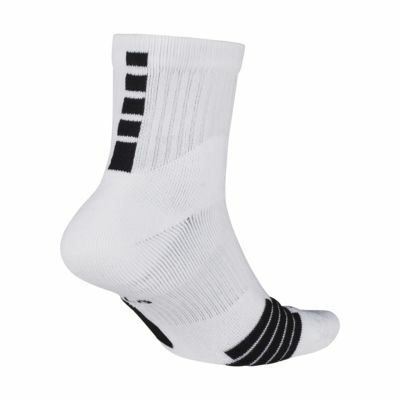 comfortable;stay up; and provide enough padding they prevent blisters! My daughter loves them. They wash well. They are like new every time she puts them on.